As an avid Twitter user, I knew that Friday, June 5, was National Doughnut Day. That morning, I was thinking about how I could celebrate this occasion in a unique sort of way. I decided to do a doughnut run on Friday. After work, I ran slightly more than two-and-a-half miles from my home to a Royal Farms, bought and ate a glazed Krispy Kreme doughnut and then ran home. 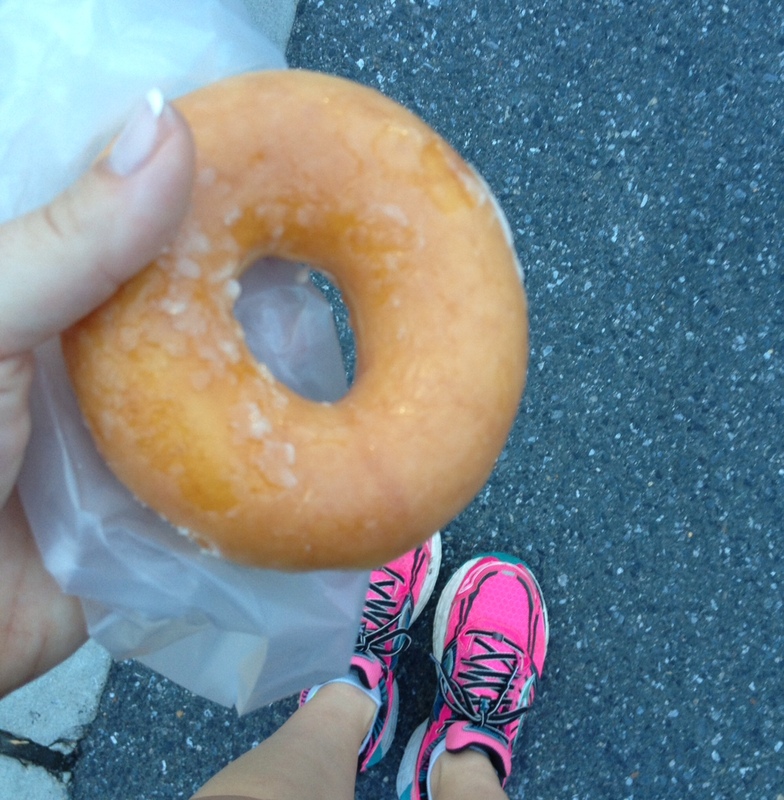 During the run, I had thought about maybe just bringing the doughnut with me and eating it afterward, but once I exited Royal Farms, I took a bite. Then, I just scarfed down the whole doughnut. I don’t think it really created problems for me, although I walked a few times. I figured the regular glazed doughnut wouldn’t be too hard to digest. I had heard of the Krispy Kreme Challenge race in North Carolina, and I just looked up how many doughnuts have to be eaten during that event — and it’s a dozen, if you’re an official “Challenger,” according to the race website. And, according to the same website, the running and eating has to be done within an hour. According to the course map, the course was nearly five miles. Now that is certainly a challenge! While this is the first time I’ve actually eaten a doughnut during a run, I have completed a sort of doughnut run before. Here’s a previous blog post about my run in Onancock, in which I enjoyed a doughnut afterward.